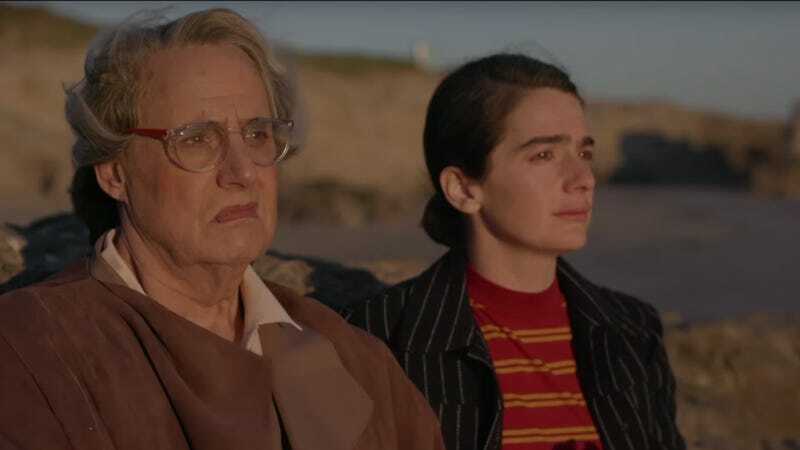 Transparent’s finale, a feature-length musical, is expected to air this fall, the Los Angeles Times reports, roughly two years since allegations of harassment against star Jeffrey Tambor put the Amazon series’ future in jeopardy. Tambor denied the allegations and eventually departed, sparking ample speculation as to how the show would handle the loss of the actor’s transgender Maura Pfefferman, whose late-in-life transition forms the spine of the series. Inspired, perhaps, by The Conners’ handling of Roseanne Barr, it appears they’ve chosen to kill her off. Creator Jill Soloway confirmed as much to the L.A. Times, saying the decision was reflective of the team “mourning our own narrative.” The finale, then, will reportedly begin with the passing of Maura and explore, through song, how each member of her family processes that death. “In this musical finale, we dramatize the death of Maura in an odyssey of comedy and melancholy told through the joyful prism of melody and dance,” Soloway said in a press release. Judith Light, Amy Landecker, Jay Duplass, and Gaby Hoffmann will all return, as will familiar faces like Kathryn Hahn, Cherry Jones, Melora Hardin, Tig Notaro, Rob Huebel, and Trace Lysette, the latter of whom was among those who accused Tambor of harassment. Below, check out some first-look images of the “genderqueer Jewish fantasia” ahead of its arrival.